A pair of researchers at the University of Aberdeen in the U.K. has found that people across cultures have a desire for delivery food at two particular times: 7 p.m. and 2 a.m. In their paper published in the journal Royal Society Open Science, Nicolas Alvarado and Tyler Stevenson describe their study of Google searches as it relates to food delivery requests by people living in various countries and what they found. To learn more about social behavior, the researchers ran software that allowed them to analyze data from Google searches. In their case, they were looking for patterns regarding when people search on Google for places that deliver food (presumably so they could order it). 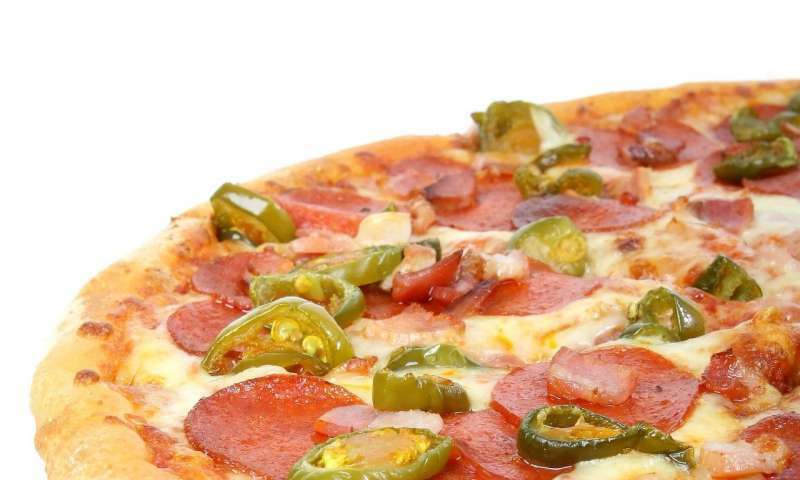 They looked at data from the U.S., India, Canada, the U.K. and Australia regarding searches containing keywords for a common local food delivery item, such as pizza in the U.S. The data they studied came from daily searches that were conducted in 2016 and 2017 during two-week periods in March and September. They also pulled more generalized data regarding food-specific items for the period 2011 to 2016 to gain a better understanding of the right keywords to use. The researchers report that while food searches were made consistently during most times of the day, two particular times stood out—7 p.m. and 2 a.m. During those two time periods, searches for delivery food places spiked. They report further that these two times were consistent across countries, and they stood out in both time periods tested. They suggest this pattern could be tied to our early ancestry—back when humans were still hunting or foraging for food, they tended to do so during particular times of the day. They further suggest that the trends they found on the internet could be a modern form of foraging. They note that such habits of old, when carried out in modern ways, could explain why humans tend to overeat, quite often to the point of obesity. They note that people of all cultures adhere to circadian rhythms and that foraging may be a part of that. They also note that the two different spikes might be attributable to two well-known chronotypes—morning people and night people. Study of Google search histories reveals relationship between anti-Muslim and pro-ISIS sentiment in U.S. There has been an exponential growth of information seeking behaviour (ISB) via Internet-based programs over the past decade. The availability of software that record ISB temporal patterns has provided a valuable opportunity to examine biological rhythms in human behaviour. Internet search repositories, such as Google Trends, permit the analyses of large datasets that can be used to track ISB on a domestic and international scale. We examined daily and seasonal Google Trends search patterns for keywords related to food intake, using the most relevant search terms for the USA, UK, Canada, India and Australia. Daily and seasonal ISB rhythmicity were analysed using CircWave v. 1.4. Daily ISB data revealed a robust and significant sine waveform for general terms (e.g. 'pizza delivery') and country-specific search terms (e.g. 'just eat'). The pattern revealed clear evening double-peaks, occurring every day at 19.00 and 02.00. The patterns were consistent across search terms, days of the week and geographical locations, suggesting a common ISB rhythm that is not necessarily culture-dependent. Then, we conducted Cosinor v. 2.4 analyses to examine the daily amplitudes in ISB. The results indicated a non-significant linear increased from Monday to Sunday. Seasonal data did not show consistent significant ISB patterns. It is likely that two different human populations are responsible for the daily 'early' and 'late' evening ISB peaks. We propose that the major factor that contributes to the bimodal evening peak is age-dependent (e.g. adolescent, early adulthood versus midlife and mature adulthood) and a minor role for human chronotypes (e.g. late versus early). Overall, we present novel human appetitive behaviour for information seeking of food resources and propose that Internet-based search patterns reflect a biological rhythm of motivation for energy balance.